Careful plant selection allows gardeners to continue gardening throughout the year. 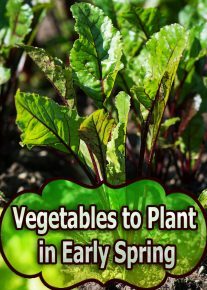 All remnants of snow melt by the end of April, and by May, gardeners are eager to get their hands into the dirt and sow seeds or seedlings that add color during the summer months well until mid- to late fall. You can grow many types of plants in May. In fact, most summer seeds germinate and grow faster because of the warm soil. Sunflowers (Helianthus annuus L.) are popular annual flowers that add a cheerful note to the landscape. The seeds take four to six days to germinate in the warm summer soil when planted in mid- to late May and grow rapidly to mature by the end of August or early September. Each flower features a large, thick, daisylike bloom in shades of bronze, yellow or orange that rests atop a tall, sturdy stem. Native to the United States, the easy-to-grow flowers tolerate a variety of moist soils exposed to full sun. Amend the planting soil with organic compost or manure and water the flower frequently during dry spells. 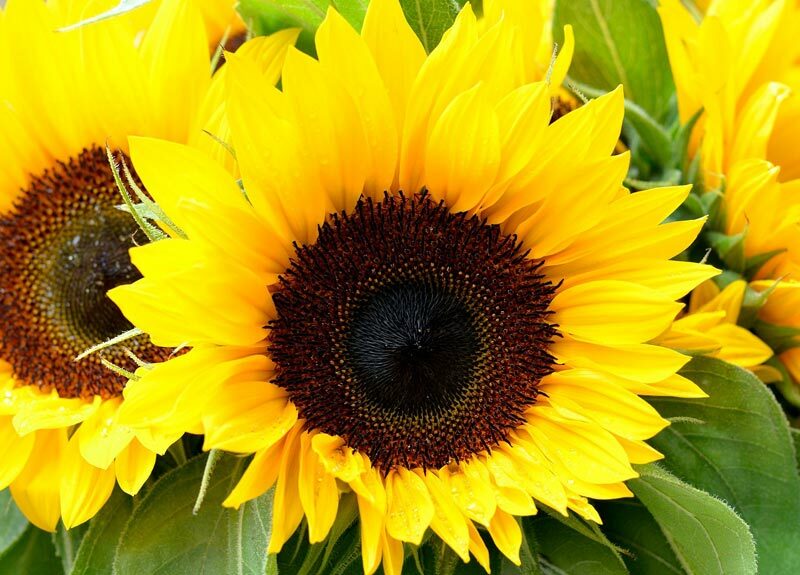 Under the ideal growing conditions, sunflower plants grow 4 to 5 feet tall. 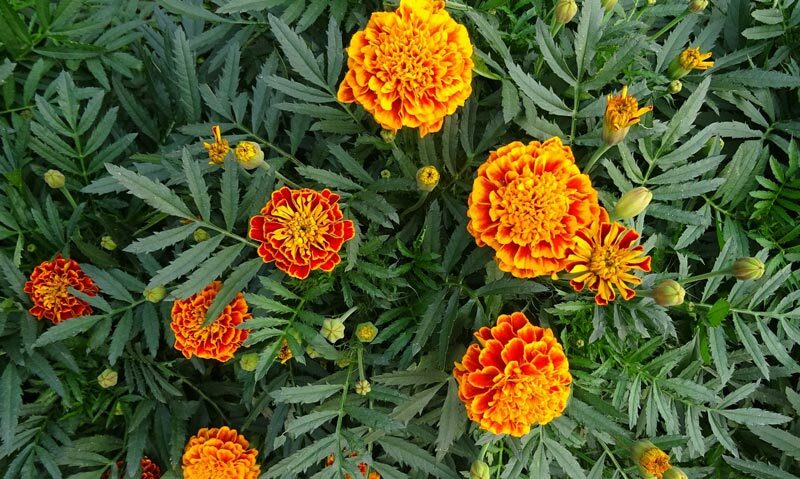 Marigold (Tagetes spp.) 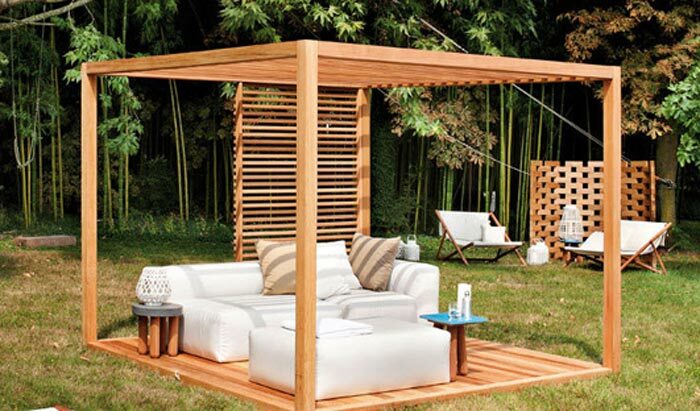 is a popular annual grown in home and commercial gardens across the United States. Commonly grown in May, the versatile, easy-care flower grows 8 to 36 inches tall, depending on the variety. Belonging to the Aster/Daisy family, the plant produces 3-inch-wide thick blooms in shades or yellow and orange that forms an attractive container, bedding or border flower. The annual flowers are often used as companion plants to deter pests and insects that damage vegetables and fruit, and prefer full sun exposure. Zinnias (Zinnia spp.) are popular annuals that bloom in late June or early July when planted in May. Native to Mexico, the blooms appear in a variety of colors and sizes that provide striking garden views. 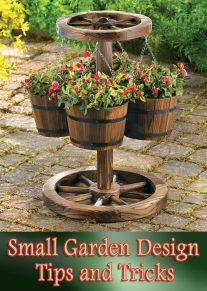 The plants grow 2 to 3 feet tall and 6 to 12 inches wide and prefer well-draining, fertile soils exposed to partial shade. 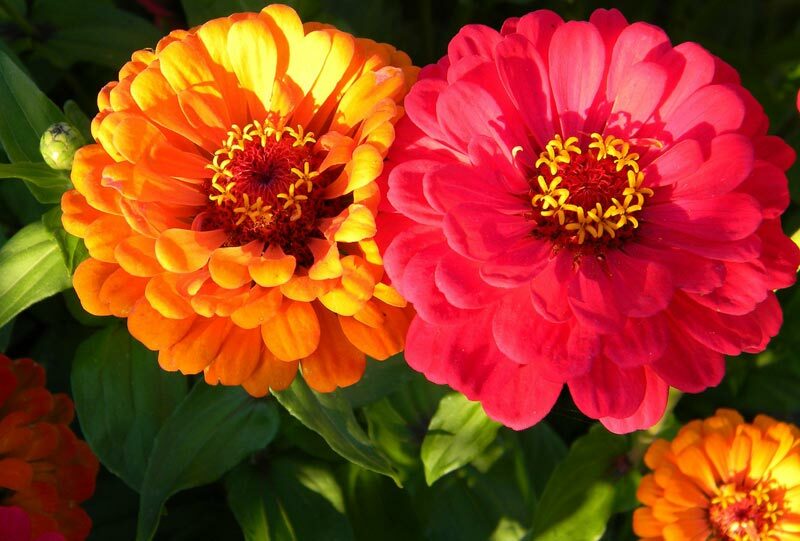 Commonly grown in containers and window boxes, zinnias enhance the appearance of the landscape when planted in large masses. Commonly planted in early summer, cosmos (Cosmos spp.) 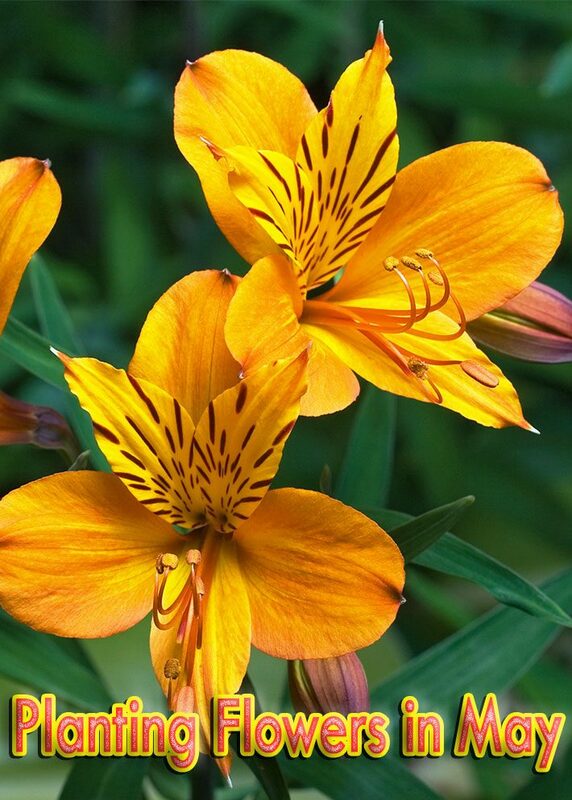 are low-maintenance, versatile flowers that dress the landscape with a splash of vibrant color throughout the summer. Each plant grows 2 to 3 feet tall and 1 foot wide. 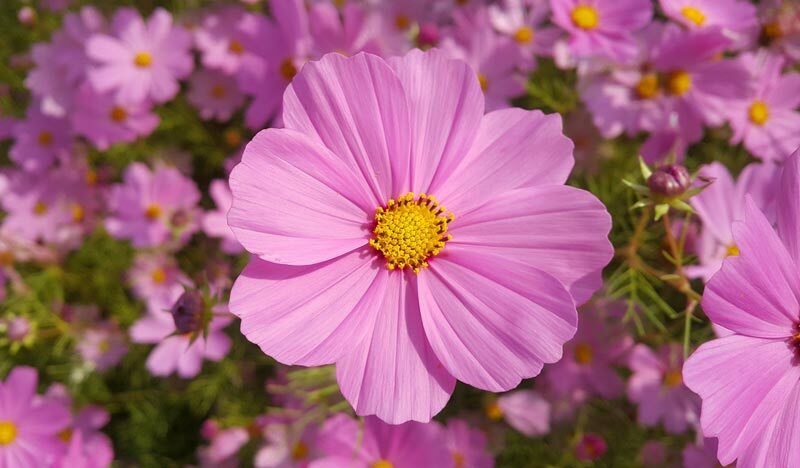 Cosmos germinate quickly when the soil temperature falls between 70 and 80 degrees Fahrenheit, making them a suitable option for May planting. The drought-tolerant, easy-to-grow flowers reseed every year. Plant cosmos in a well-draining site exposed to full sun.